Is The Magic 8-Ball Really Magic? In this lesson, students are asked to develop a theory about how a Magic 8-Ball works without taking the 8-ball apart. Students are asked to develop a theory about how a Magic 8-Ball works without taking the 8-ball apart. The activity requires careful collection of data and the generation of a theoretical model that will explain how the mechanism of the toy works. This is a simple project that you can use for a number of purposes. It's a good introduction to a study of polyhedrons and the modelling of geometric shapes. The best solutions to this problem will involve the construction of an actual physical model of the toy's central component, which turns out to be a regular polyhedron. This can be done by folding paper in a certain way. It can be used to teach probability. For example, ask students to find out the probability of the ball giving a "positive" answer. 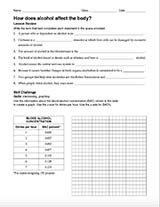 This lesson simulates a scientific experiment and gives students practice with collaborative theory building. It gives a context in which to discuss the scientific method. Research director: Helps the group decide what data to collect and how to collect it. Research technician: Performs the actual experiments to produce the data. Data recorder: Keeps track of the data. Pass out the Magic 8-Balls. Explain to students that they are being asked to come up with a theory about how the toy works. Is it really magic, or is there some other explanation? Explain that they must construct their theories around evidence, which they can collect by carefully observing the behavior of the toy. Tell them you're not sure yourself how it works. Tell students to record their observations and interpretations in the appropriate columns of their notebooks (left column for observations, right column for interpretations and questions). Explain that they will have one hour (or as much time you want to allow) to collect evidence, develop a theory, and present a draft report of their theory. The report should describe the evidence they have collected and how they have used this evidence to construct a theory. Suggest that the report should include drawings, tables, and other means of explaining their findings. At the end of the period (or the next time the class meets), ask students to explain their theories to the class. Ask students to write a final draft of the report as homework. You can give them the writing prompts and rubric in advance to clarify expectations. As explained above, this is a good introduction to the study of polyhedrons. The number of faces on polyhedrons increases in a regular series, beginning with a cube, which has four faces. Students can be asked to investigate this series and perhaps try building some of the larger ones. You could have a competition to see which team can build the largest regular polyhedron. At the high school level, students may want to try writing a Magic 8-Ball computer simulation. This can be a simple text-based simulation or a more complicated one with animation. With younger children, you may want to explore the nature of floating objects. What Is Newton's Second Law of Motion? How Does a Spring Scale Work?